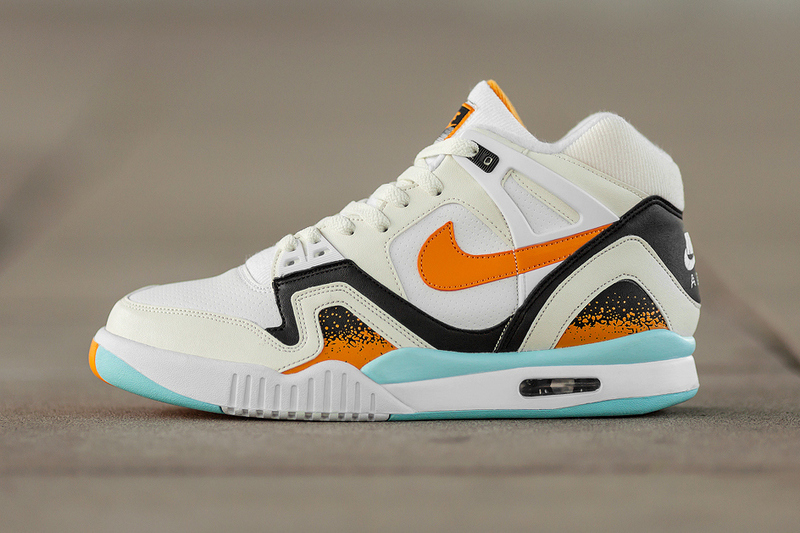 Nike Sportswear returns with a “Kumquat” edition of Andre Agassi‘s retro Air Tech Challenge II for a release this spring. The kicks see a combination of white and off-white throughout the upper while black leather, orange accents and htis of blue are at the midsole/outsole. The White/Kumquat-Soft Pearl-Black version of the ATCII should be available soon at select NSW stockists.